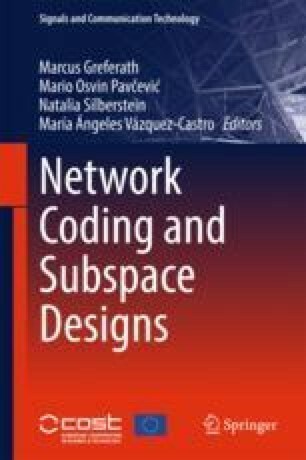 In this chapter, we target to give extensive performance analyses about application of network coding (NC) in wireless systems, referred to as network coded cooperation (NCC), brings both diversity and multiplexing gains. We use the diversity-multiplexing trade-off (DMT) to determine performance bounds of NCC systems. Within the scope of this study, NCC is integrated with orthogonal frequency division multiple access (OFDMA) and the corresponding system model is characterized by specifically focusing on frequency diversity gain. DMT expressions of the NCC-OFDMA system is given. A real-time implementation of the NCC-OFDMA system is presented by creating a testbed NI USRP-2921, NI PXIe-5644R, NI PXI-6683H software defined radio (SDR) modules and LabVIEW software. Obtained real-time performance measurements are essential to demonstrate the practical advantages or disadvantages of the usage of the NCC-OFDMA system. Overall, we aim to present a detailed overview of the fundamental performance bounds of NCC and its extension to the practical applicability of NCC in wireless networks.